KRAUS offers a fresh take on the classic ceramic sink with this contemporary bathroom combination that complements both transitional and modern bathroom decor. 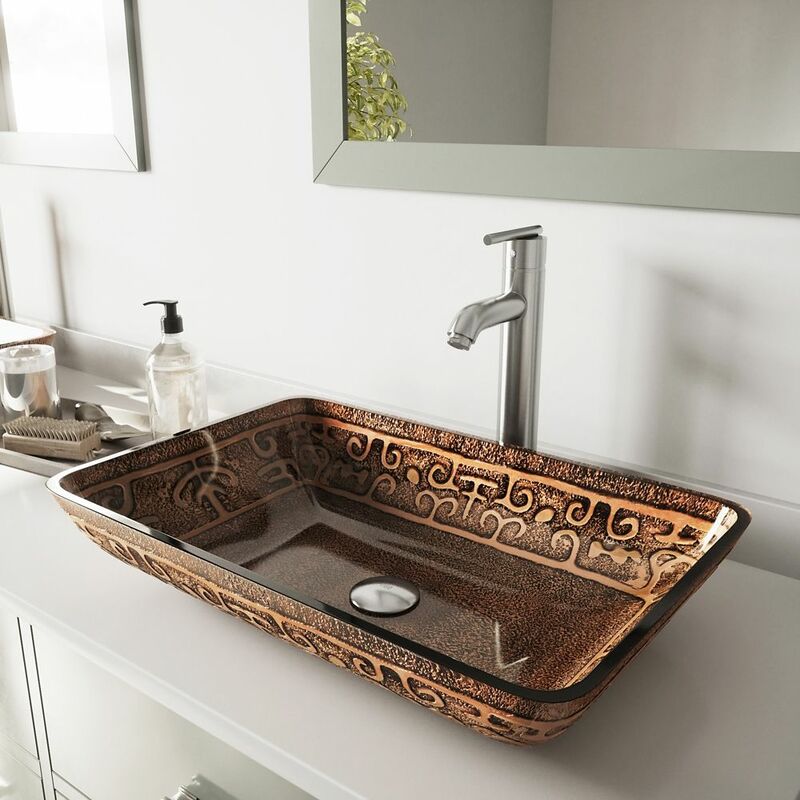 The smooth, non-porous surface of the vessel sink is naturally durable and hygienic. For an easy-to-clean high-gloss finish, each bathroom sink is protected with a premium baked-on glaze. This sink can be installed above-counter for all your stylish bathroom ideas. Pair it with a sleek Ramus faucet for additional value, and create an instant style upgrade for less. Glass Vessel Sink in Rectangular Golden Greek with Faucet in Brushed Nickel is rated 5.0 out of 5 by 1.